Being a multimedia enabled smartphone, Nexus One can play videos encoded by H.263, H.264 and MPEG-4 codec, play audio formats including MP3, AAC+, Ogg Vorbis, WAV and MIDI, display image formats including JPEG, GIF, PNG and BMP. 1GHz Qualcomm 8250 processor, 512MB of RAM and 512MB of internal Flash storage helps you to play videos smoothly. Have got a brand new Nexus One and wanna play your video collections? Still searching for a video converter for Nexus one? Never hesitate to try Any Video Converter, the best Nexus one video converter. Any Video Converter can easily convert all kinds of video formats to MP4 videos playable on your Nexus One. If you need to watch your DVD movie on Nexus One, Any DVD Converter, which is Any Video Converter plus a DVD ripper, will be the best choice to rip DVD to Nexus One. If you want to rip protected DVD movies to Nexus One, Any DVD Cloner Platinum is the one you need. Besides ripping protected DVD movies to MP4, AVI,.etc video formats, also clone DVD to DVD, copy DVD to hard drive. Any DVD Converter Professional can easily help you to rip DVD movies and convert videos including AVI, WMV, M2TS, MOV, M4V, FLV, F4V, RM, RMVB and many more video formats to H.264 or MPEG-4 movie in .mp4 extension which is playable on Nexus One. To rip DVD and convert video to Nexus One, you can follow the steps below. How to rip DVD movies and convert videos for Nexus One? Step1: Open DVD or add video clips from your hard drive, YouTube, Google or and NicoVideo to the Nexus One DVD Ripper. In fact, Nexus One has built-in YouTube support, you can watch YouTube directly without downloading and converting. Batch video conversion and merging videos are supported. Step 2: Nexus One can play .mp4 movies encoded in H.264 and MPEG-4 and play .3gp movie encoded in H.263. We recommend .mp4 movies as the video quality will be better. Any DVD Converter Pro offers "Google Nexus One MPEG-4 Movie(*.mp4)" output profile for you to choose. You can find it by clicking the drop-down menu and unfolding Google Android option in the right panel of the program. Any DVD Converter Pro also offer you to customized the output settings. Nexus One can play movies up to 800x480 pixels. Go to the right panel of the program, you will find the Video Options. Under this option, you can set video codec to x264, mpeg4 or xvid. You can set frame size to 800x480 or other value you want, like 640x480. You are able to set a higher value to the Video Bitrate option to get better quality of videos, of course, you can input value to it manually according to your need. We recommend to set Video Framerate as the original framerate. You can find original framerate in the central panel. If you are ripping DVD to Nexus One, unfold DVD Options and set audio language, subtitle and angle for your Nexus ONe. Step 3: Click Convert button to start converting video to Nexus One or ripping DVD to Nexus One.. Once the conversion is finished, you can click "Output Folder" button to get the output MP4 files. Then connect your Nexus One to computer via USB. Once mounted, create a Video folder in the root of your Nexus One and copy the output videos to the Video folder. Now, you can watch DVD movies or videos on your Nexus One with the Gallery app. Have fun! AVCHD is a high definition video format for use in AVCHD digital camcorder, including Sony HDR-SR12E, Sony HDR-SR1E, Canon HF-100, Canon HG-10, Panasonic HDC-SD1. The system requirements for AVCHD editing software currently limit it to powerful high end PC. Any Video Converter makes it easy to convert and edit these footages from AVCHD camcorder suitable for watching on Nexus One. Currently, this powerful Nexus One video converter allows you converting almost all AVCHD videos to MP4 format including: convert avchd to mp4, convert mts to mp4, convert m2ts to mp4, convert mod to mp4, convert ts to mp4, convert tp to mp4, convert mod to mp4, convert quicktime to mp4, convert mkv to mp4, convert mov to mp4, etc. In addition, Nexus One video converter provides you with powerful editing functions. It allows you to trim, crop, merge your video. Even you can adjust video brightness, contrast and saturation to get customized video effect. The intuitive interface of this software enables you to finish your task with only a few mouse clicks. Any Video Converter is a QuickTime MOV converter which helps you convert QuickTime MOV to MPEG4, QuickTime QT to MPEG4, QuickTime M4V to MPEG4. If you are searching for software to convert MOV to Nexus One videos, Any Video Converter is surely your best choice! Besides converting QuickTime Videos for Nexus One, you can also convert QuickTime videos to AVI, WMV, MP4, 3GP and 3G2 supported by iPod, iPhone, iPad, Google Android, iRiver Smart HD, Palm Pre, Droid, PSP, Xbox 360, Apple TV, Archos, Creative Zen, Zune HD, and many other popular portable devices. It also has advanced options which allows you to set bitrate, framerate, frame size, aspect ratio, also crop or pad black strips at outer part of mov video. It is simply a great Nexus One video converter. Any DVD Convert not only gives you the ability to rip unprotected DVD movies, but also enables you to rip CSS protected and Region locked DVD movies. In order to rip a copy protected DVD correctly, you need to check "Ripping DVD titles in DVDNav mode" option (Edit > Options > DVD) before opening the DVD in Any DVD Converter. Besides, if you want to rip a DVD to a whole video file, but not separated files, you need to tick "Do not separate a DVD video disc as titles" option as well under the DVD tab. Before you ripping a DVD to MP4 for Nexus One, you can edit your movie files at will. Clip multiple segments in a DVD movie by setting start point and end point as you like or trim a section of the DVD movie by setting start time and end time. Crop off the black edge of your DVD movie to let you enjoy your movie in full screen. Adjust the brightness, contrast, saturation, rotate or flip your video, add artistic effects like noise or sharpen to make your video different and special. Take snapshot from playing DVD movie and save as .PNG picture format, create your own picture collections from movies. Both Any Video Converter and Any DVD Converter are capable of converting any MKV streams to play on Nexus One. 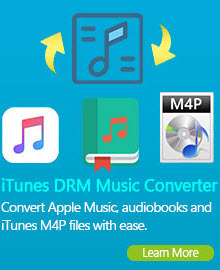 In addition, the MKV Converter can extract MKV to audio formats like mp3, aac, m4a,wma, etc. 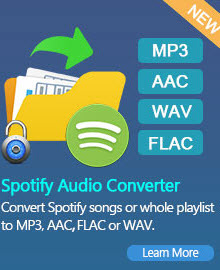 Moreover, the MKV Converter also supports convert other videos and audios. For example, the MKV Converter also can convert 3GP, MP4, FLV, AVI and so on to other popular formats. Take full advantage of a wide range of settings in this MKV converter to assist your MKV file conversion: split one MKV file to several, compress a large MKV file to smaller one, and output multiple files from one MKV file simultaneously and so on. Now, load your MKV files into the MKV Converter, and luxuriate yourself in these MKV files wherever you go. The Nexus One is an Internet and multimedia enabled smartphone designed by Google, Inc, which runs the Android open source mobile operating system. 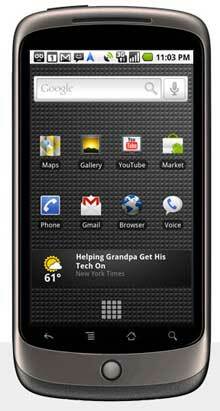 The Nexus One is available on January 5, 2010. The Nexus one includes some amazing features including ability to transcribe voice to text, a native Gmail application, and voice directions for driving. The Nexus one is currently offered for use with the T-Mobile mobile phone network in the United States; a version for the Verizon (US) and Vodafone (European) networks is expected in the second calendar quarter of 2010. The unlocked version of the phone can be used on any GSM network worldwide, although 3G speeds will only function on certain networks.